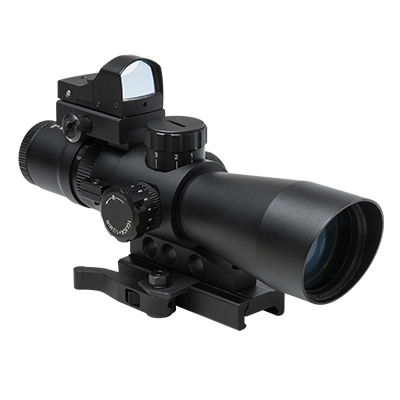 Tactical scope for mid to long range, Zoom magnification for further target acquisition. Dual Blue & Green illumination for different lighting conditions. 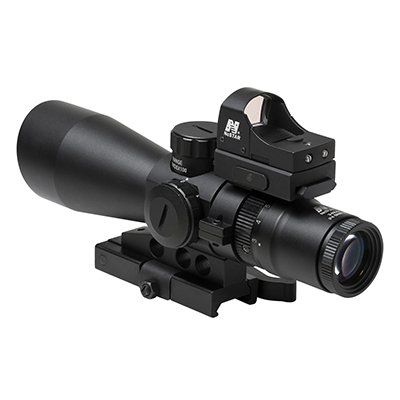 Includes Gen 2 Red Micro Dot Optic for quick target acquisition for Close Range engagements. 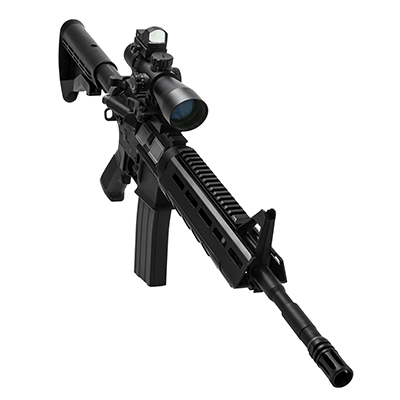 Scope is at the proper height for M4/M16 and AR15 rifles and carbines. Bullet Drop Compensation for 55 grain FMJ 5.56 NATO. Locking Quick Release mount. Locking Quick Release mount. More compact QR Lever. Lowered BDC Turret height, for lower mounting height for the optional new 34mm Micro Dot mount and optic. Dual Illuminate Reticle in Blue and Green, with multiple brightness settings for each color.